Dive into the wonderful world of Paradera Park, a Caribbean oasis combining boutique charm with an easy access location. Paradera Park is locally referred to as ‘the Tropical Oasis’ and has every amenity to ensure a comfortable stay. The 17-room resort has been family-run for over 20 yeas, delivering highly on personal & expert service. This hidden gem is the perfect place for a holiday, as Paradera Park is found in the heart of Aruba. It is just a 5-minute drive from the capital Oranjestad and a 10-minute drive to most beaches, sites of interest and restaurants. The recently renovated accommodation is fully equipped, spacious, offers every home comfort and all at an affordable rate. 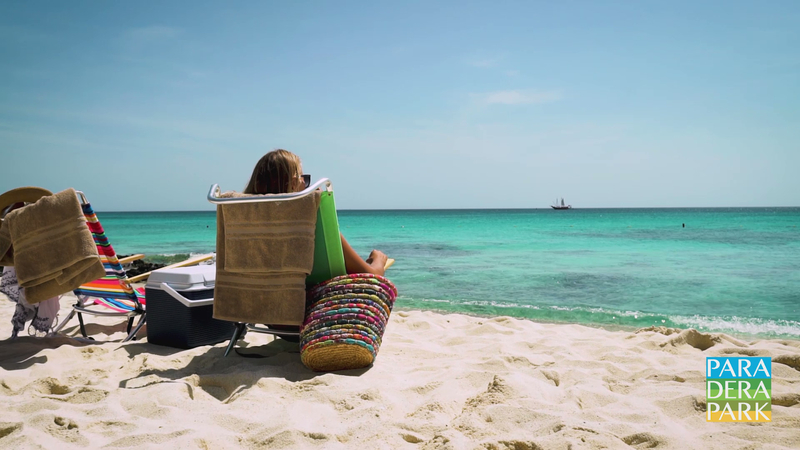 Guest services include in-room WiFi, daily housekeeping, beach chairs, beach towels and cooler, reception with front desk for tours & activities. 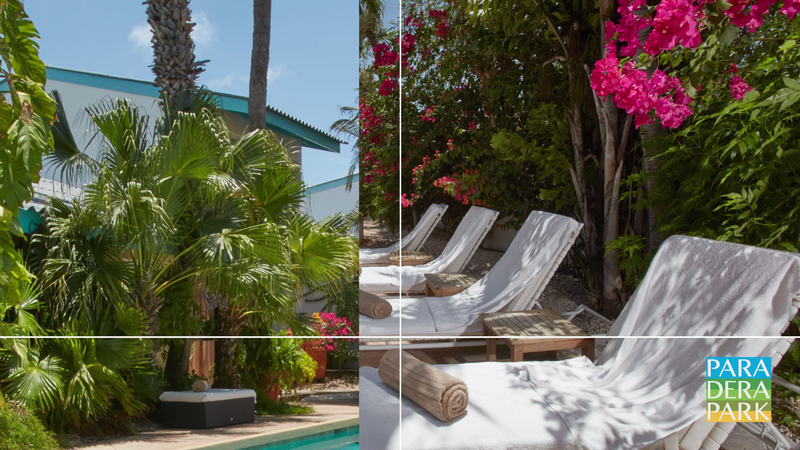 Mature tropical gardens, sun decks, cabanas, hammocks, settees and lounge chairs are expertly arranged throughout the property and at the large pool. Hammocks in secluded areas give you a quiet abode in the tropical gardens. For art lovers, the lobby houses a glass-art shop and gallery, with unique art pieces created by the owner. Ask for a tour or demonstration.